Liverpool have tied down plenty of their key players to long-term deals, with Andy Robertson the latest to commit his future to Anfield. Robertson has been a revelation at Liverpool having signed for £8million from Hull City in 2017, becoming a key player under manager Jurgen Klopp. The 24-year-old is recognised as one of the most consistent left-backs in the Premier League, whilst he is a fan favourite on the Kop due to his exuberant attitude. Liverpool have been in discussions with Robertson’s agent over an extended contract as they look to reward the Scotland international for his swift development. Robertson still has three-and-a-half years left on his current deal, whilst he is believed to be earning around £50,000 a week – wages that are sure to be at least doubled. The club are expected to make an imminent announcement, according to Dominic King of the Mail and Paul Joyce of the Times. The left-back isn’t the only one who is set to be in line for a new deal, either. Liverpool are also looking to reward Trent Alexander-Arnold with a third deal in the last 18 months. The local youngster has become another integral part of Klopp’s back-line, who have the best record out of all 20 Premier League clubs so far this season. Alexander-Arnold’s development has been nothing short of extraordinary, with the 20-year-old one of the brightest talents to come out of Liverpool’s academy. Should the duo sign, they will follow the likes of Mohamed Salah, Roberto Firmino, Sadio Mane, Jordan Henderson and Joe Gomez, all of whom have extended their contracts at the club in the last year. With most of those signing new deals still having years remaining on their current contract, it’s another sign of how well Liverpool are being managed. .
With so many of the current squad’s stock rising so swiftly, the club are keen to make sure they are well-rewarded to pry off any potential suitors. The Reds are back in action on Saturday afternoon as they look to extend a four point gap at the top of the table with victory against Crystal Palace. 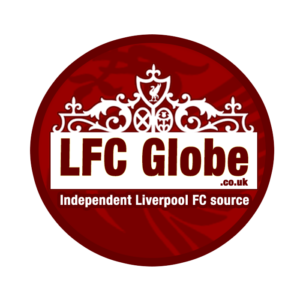 Liverpool vs Crystal Palace kicks off at 3pm at Anfield and you can keep up with all the action via LFC Globe’s live match-day coverage.